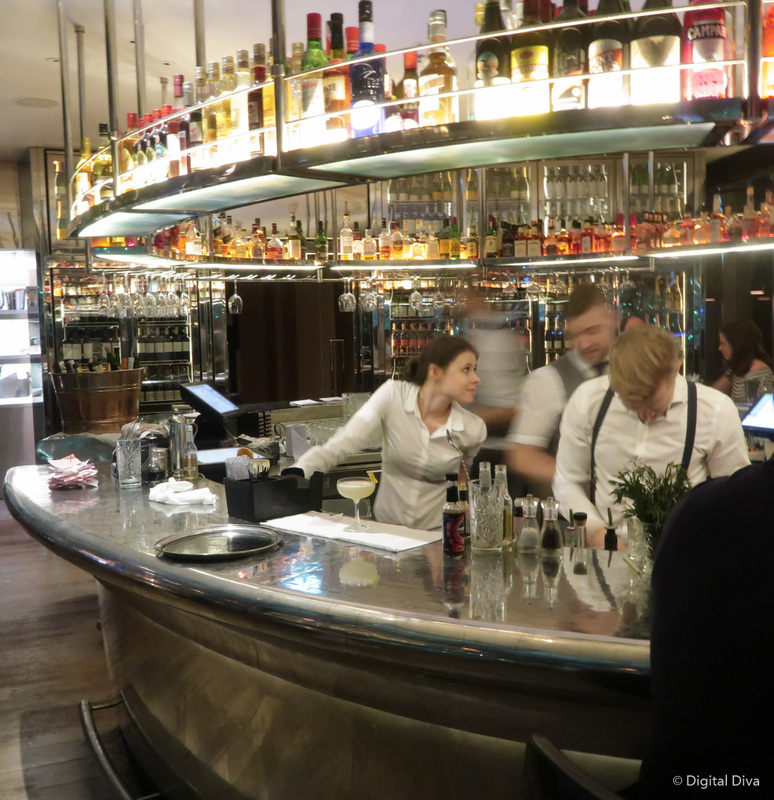 Have you ever eaten at Angelica in The Trinity Leeds? I hadn’t before…in fact, I actually hadn’t realised they served food! 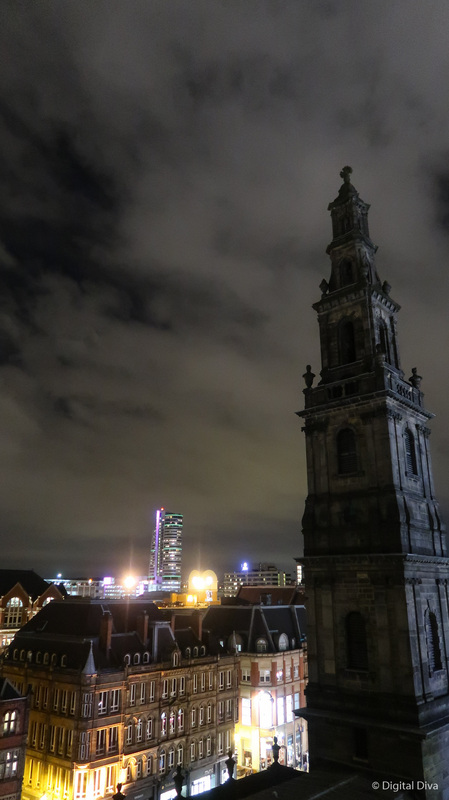 I knew them as the place to go for amazing cocktails and a gorgeous view over Leeds from their place at the top of The Trinity. Firstly, James was REALLY pleased to see they served oysters. So, without hesitation, he ordered them as a pre-starter. They arrived and were pretty damn perfect to be honest. They were a good size and just lovely. 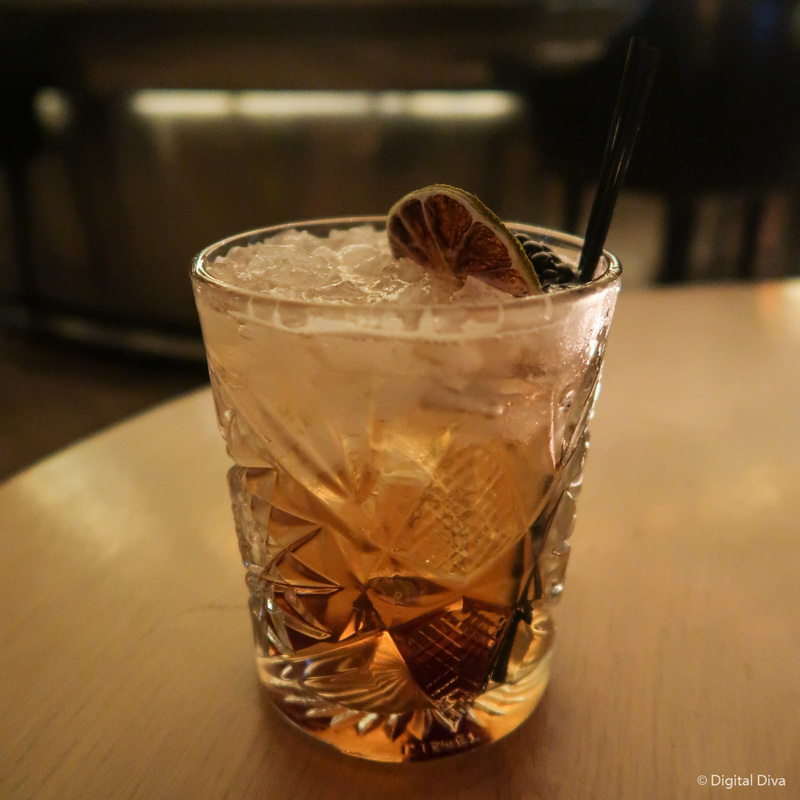 I started with a Charlie Chaplin cocktail which had sloe gin, apricot liqueur, lemon juice, pineapple juice and apricot jam. A crazy mix, but it was so so tasty! My fave cocktail of the night I think. James opted for a classic mojito. He always likes to test a cocktail bar with that. It’s a classic, but places don’t always get it right. They passed, it was fab! I took a stretch out on the balcony to admire the view, whilst we waited for the starters. 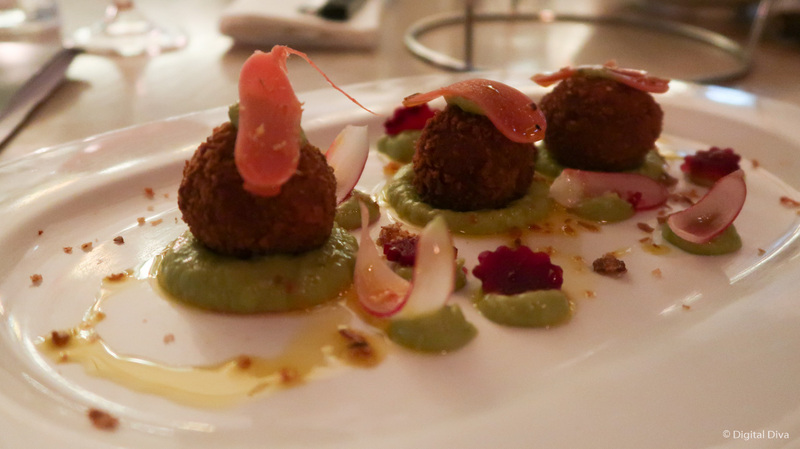 For starters, I went for some lobster arancini which was out-of-this-world-good. The flavours were so tasty. My mouth is watering just writing this! 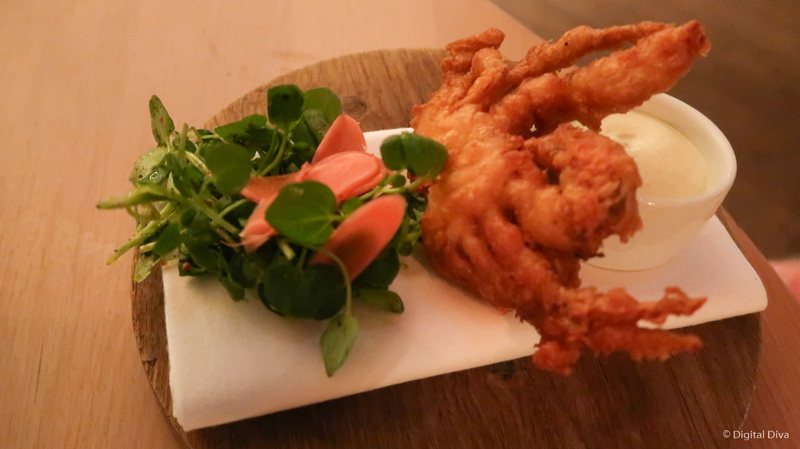 James chose the soft shell crab, which was great…the jalapeno mayo maybe overpowered the subtle taste of the crab a bit…but it was all cooked beautifully. 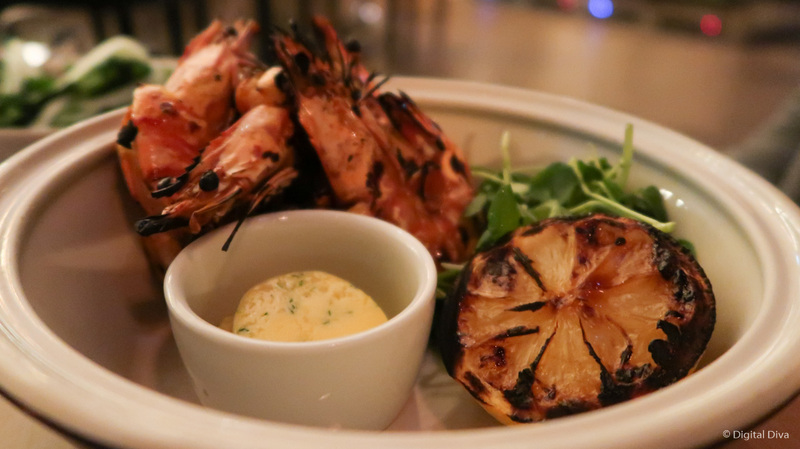 James chose some grilled prawns for his main. They were nice, but maybe a little overcooked. He’s fairly picky with his prawns and they didn’t quite get there for him. …and I decided that I wanted a break from the seafood and try the burger. I went for well done, instead of medium (which the waitress advised would be quite pink). I’m a bit funny with pink burgers ever since an incident on holiday (we won’t go into detail!). If I was to order the burger again though, I’d most likely for for medium, as well done was a little dry for me. 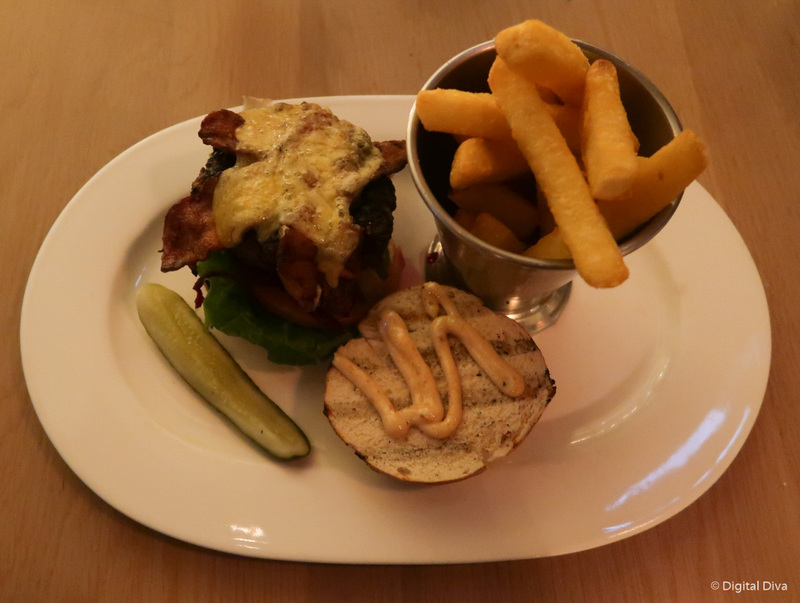 The burger had a delicious chargrilled taste…which I think would have been better without the bacon. Just my preference really. The bacon was quite smokey and salty, I think the burger would have shone more on it’s own. I have to say that the pretzel bun rocked my world, really tasty and soft. The chipotle mayo (I don’t usually notice the mayo much) was fantastic too. I’d maybe swap the potato chips for sweet potato fries next time as these were quite chunky and oily for my liking. I’m more of a fries gal…my hubby made sure he ate them all though, as he loves them like that. We shared a dessert (figuring we’d eaten enough already, but not totally being able to resist!). 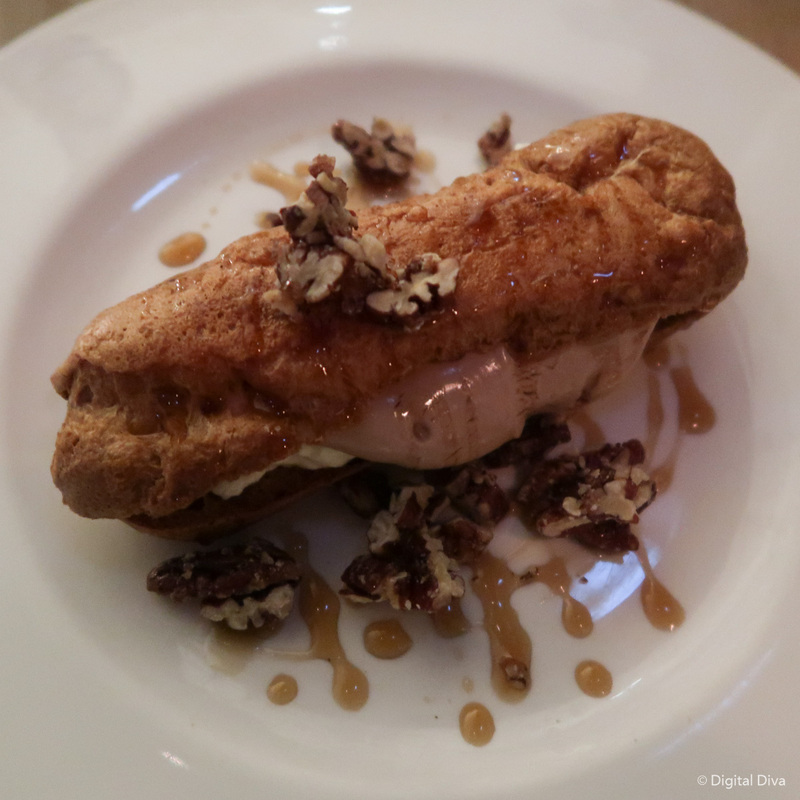 We went for a chocolate and pecan eclair…and it was a triumph. The chocolatey toasted pecan-y goodness was just lovely. I only wished I’d ordered one only for myself! 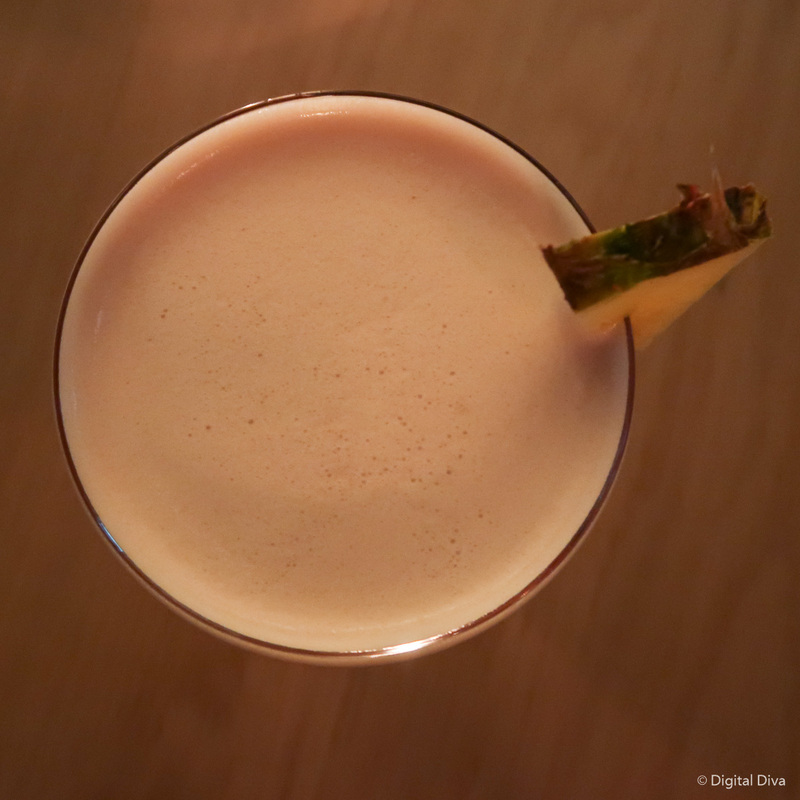 …but they talked us into yet more cocktails (it wasn’t hard to twist our arms! ), asking us what we liked and Rachel and Dan went into competition with each other behind the bar to make us what they thought would be our perfect cocktails! 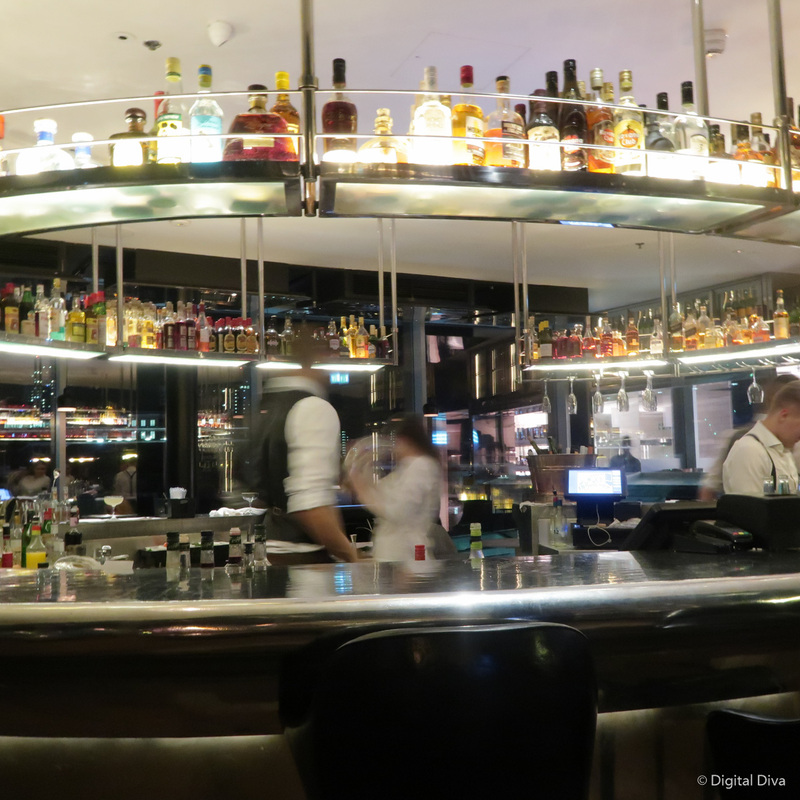 We were at Angelica on a Wednesday night, so it was nowhere near as busy as on a Friday or Saturday evening. Much easier for the bar to talk to you more about cocktails! Top tip: go on a Weds night! Would I go back to Angelica? 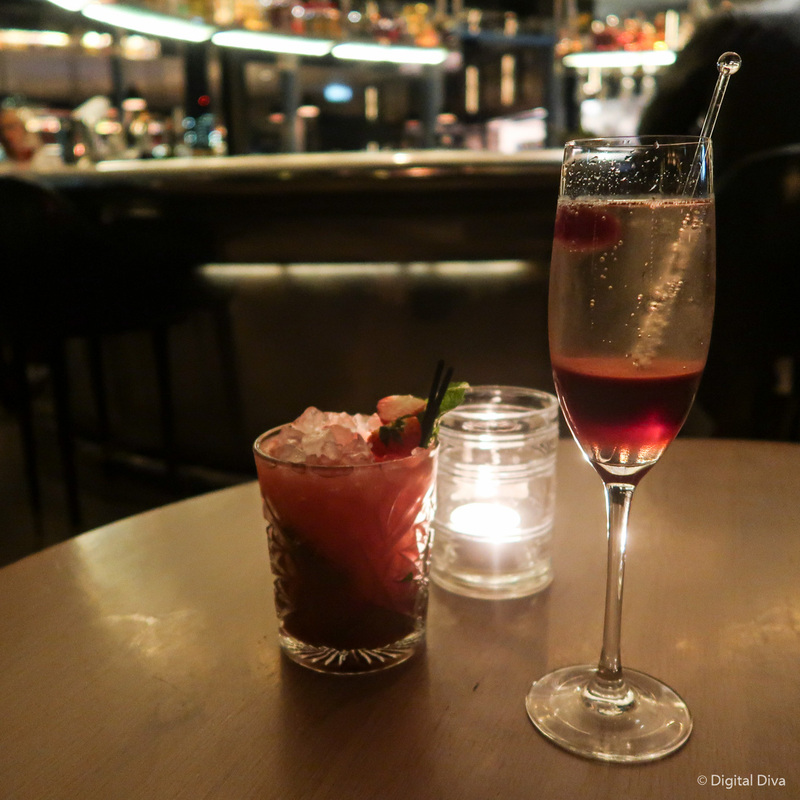 We had an utterly fantastic evening at Angelica. 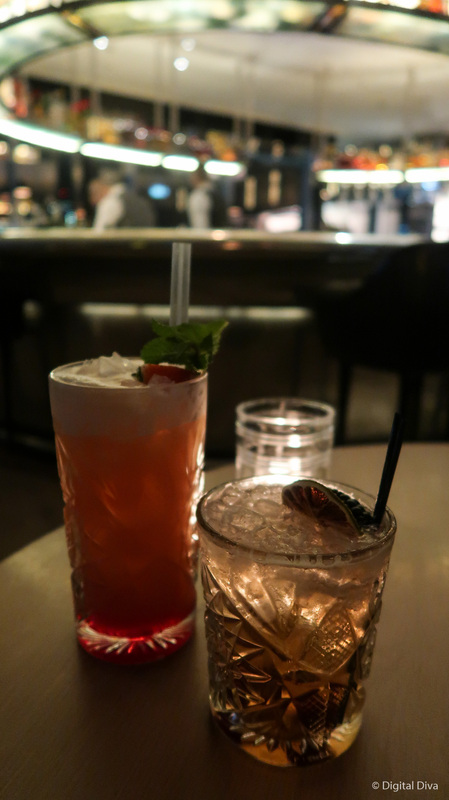 So much fun not having a formal dinner but instead enjoying the drinks just as much as the delicious food. Rachel really made our evening too, chatty and friendly and fun. Not just because I was a blogger either (I always watch to see if the are the same with other tables). I’m most likely going to try their All-Day Brunch next. They do a full English, eggs benedict and waffles…amongst other things. YES! I’m there!! 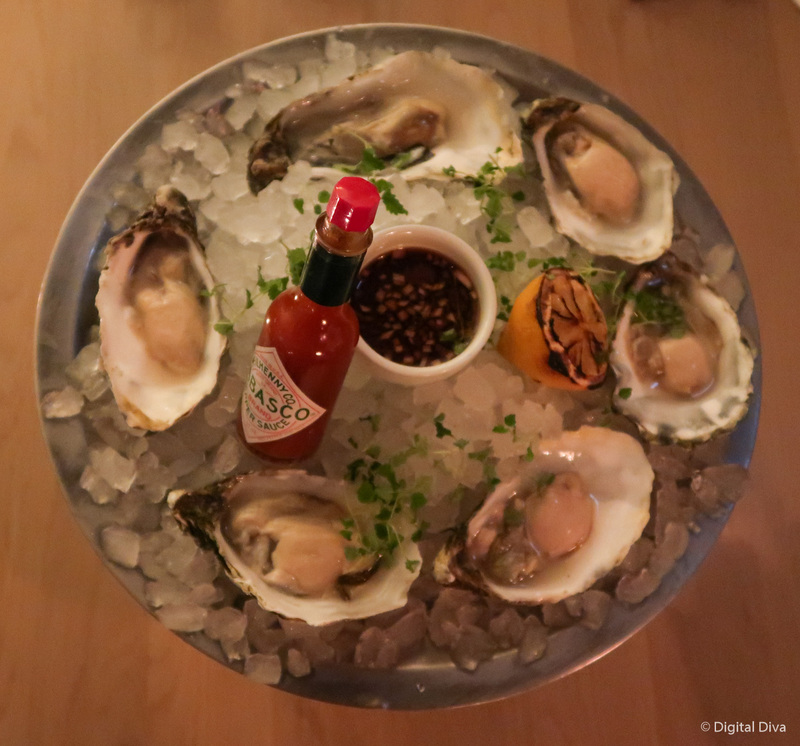 If you fancy seeing what some other dishes look like, read Queen Beady’s review also. You can book online on their website or give them a call on 0113 897 0099 to reserve a table. * Please note that our meal and drinks were complimentary for review purposes. My opinions, as ever, as all my own. Previous Post Should I get my fringe back? 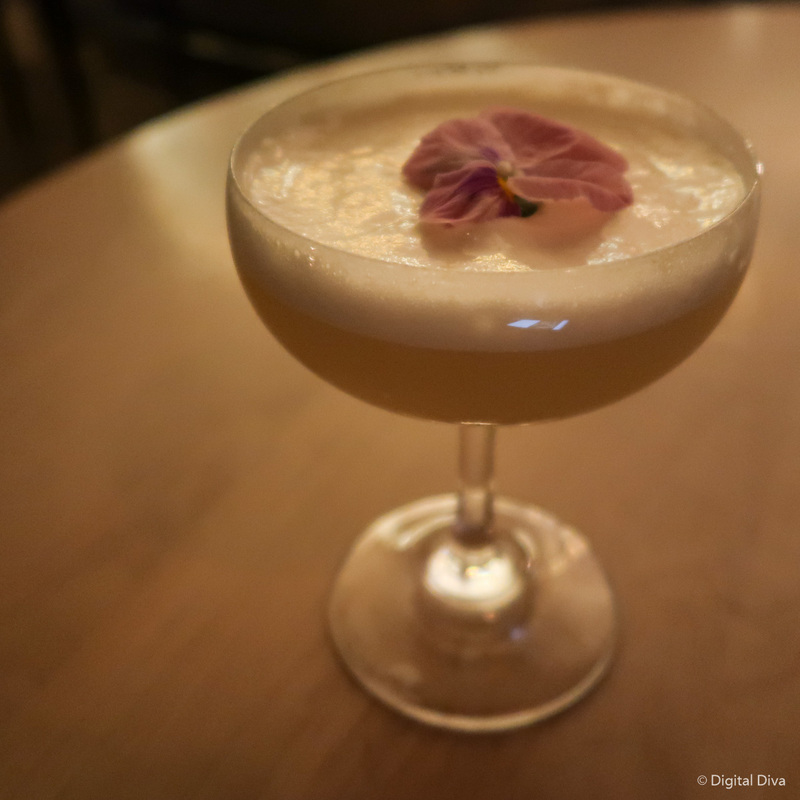 The Charlie Chaplin cocktail sounds divine! 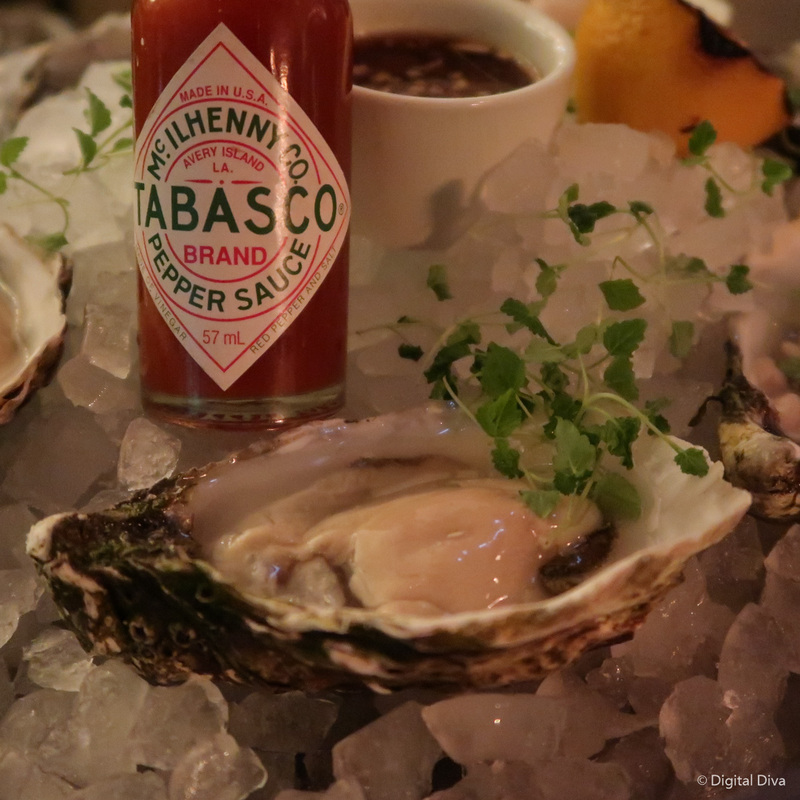 I keep trying oysters, each time I think I like them more than the last, but I’m still not completely sold on them yet! I definitely need to visit. 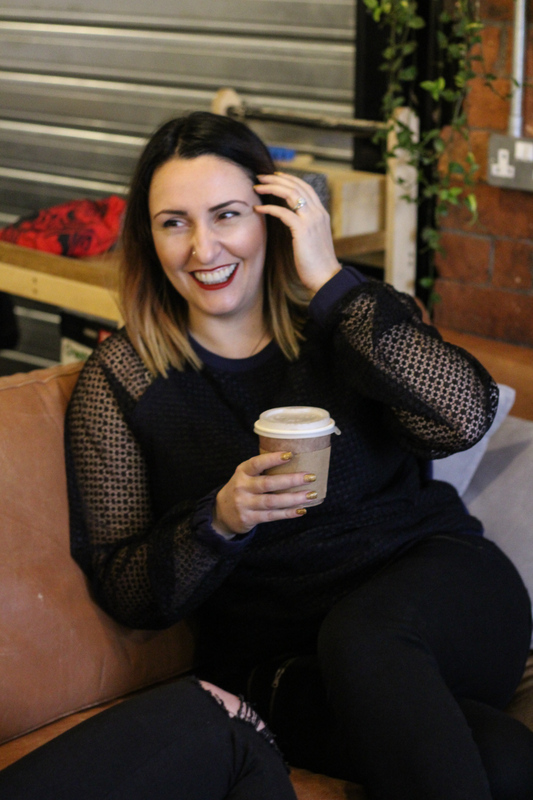 I’ve only ever eating at Crafthouse but I think I need to pay Angelica a visit after reading this!